The Helium SLX is Ridley’s top, superlight ultra-gourmet model in their line of Helium bikes. 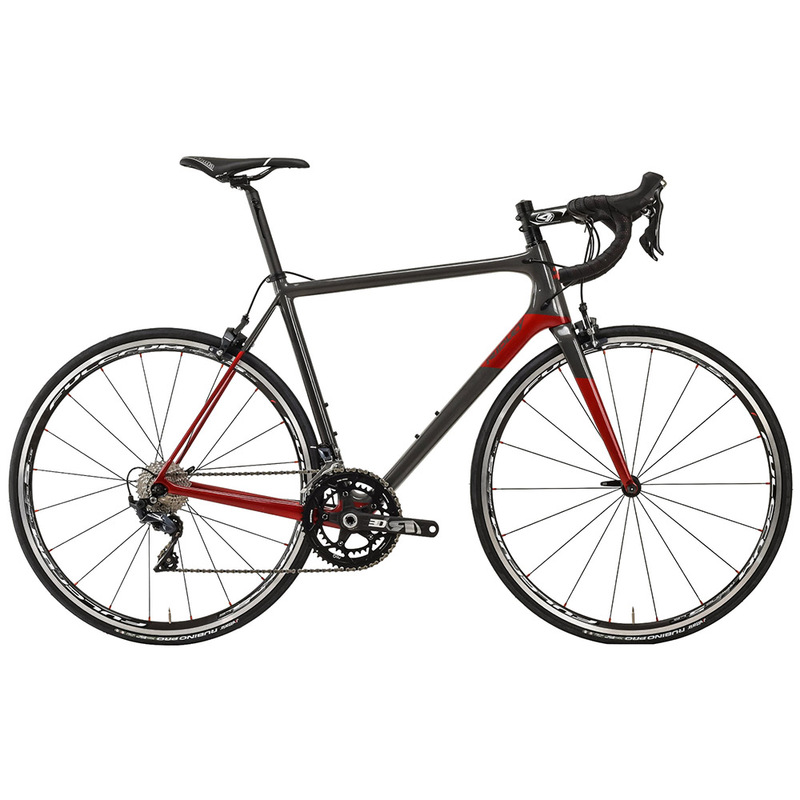 When it comes to stiffness to weight ratio this is the ultimate choice; barely tipping the scales at just 750g for a size medium frame the Helium SLX is constructed from a mix of 60/40/30-ton high-modulus carbon fibre to create a stiff, fast-accelerating road bike that responds instantly to every pedal stroke on the flat and allows you to dance up the climbs like never before. The Ridley engineers have struck the perfect balance between light weight and stable, predictable handling; riding the Ridley Helium SLX there’s no nervous skittish feeling on descents and high-speed turns, only a confidence-inspiring ride that leaves you focused on race tactics and what’s going on around you in the bunch. The Helium is not just built for the pros though, it’s designed for anyone who wants to get the very best out of their riding, helping you to be fast on the climbs so you can target those illusive Strava KOM’s, fly on the flats and rolling terrain, and sprint like a pro. With a sensible amount of compliance engineered to the frame the Helium SLX is also comfy enough to keep you motivated during long distance rides and is built to conquer the most demanding Sportifs or Gran Fondos. The Ridley Helium SLX features the new Ultegra R8000 11-speed mechanical groupset providing crisp, predictable gear shifts every time. A Rotor 3D30 chainset featuring 36/52T chainrings combined with a Shimano Ultegra 11/30T cassette gives you a generous spread of gears that will enable to you conquer the hardest, hilliest rides imaginable; Ridley have also specced lightweight Fulcrum Racing 5 wheels to keep you rolling fast and enable you to accelerate instantly up steep climbs.